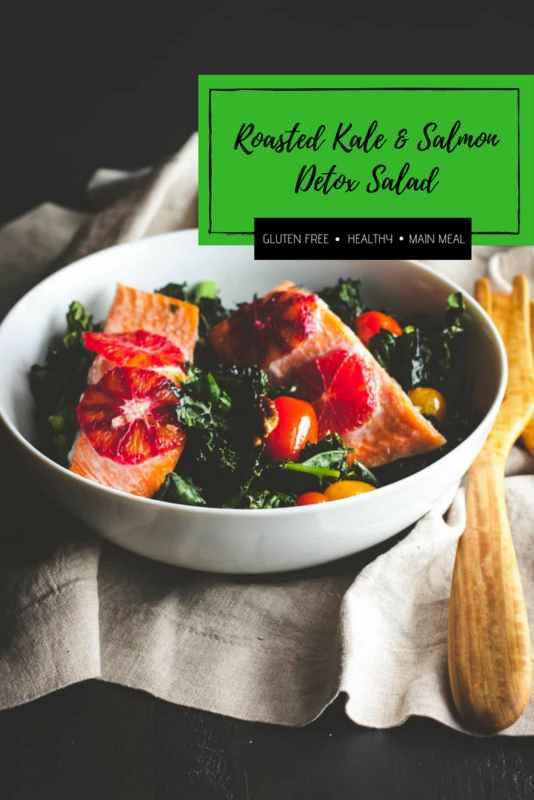 This roasted kale and salmon detox salad recipe is amazingly delicious, healthy and Whole30 compliant! 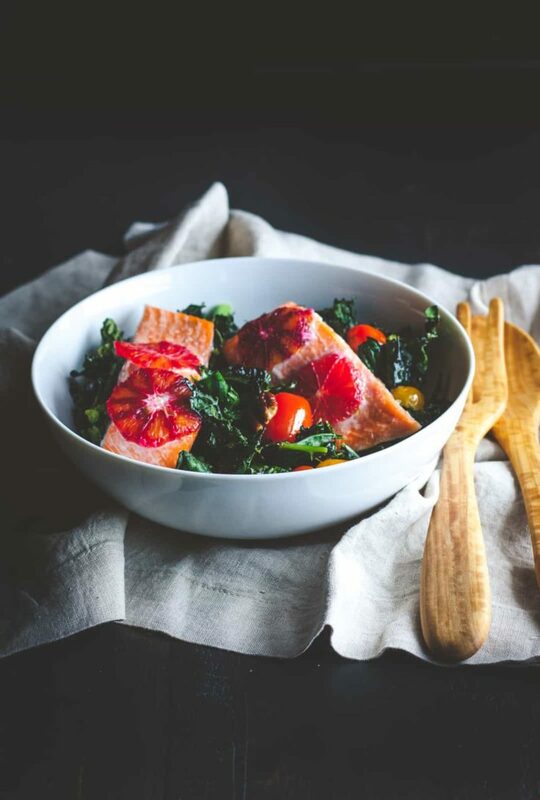 The salmon sits atop a bed of kale and cherry tomatoes, and beautiful blood oranges add a hint of sweetness. And best of all, this salad can all be cooked in one pan, yay for sheet pan dinner recipes. 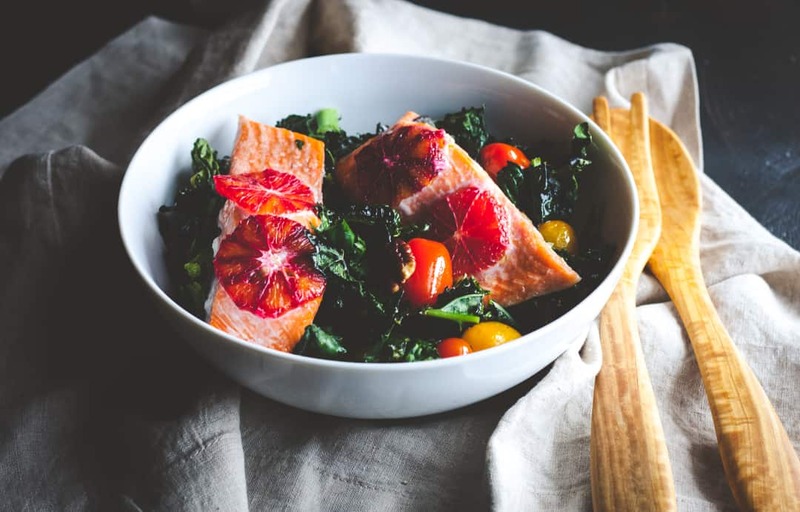 I never thought I’d be jazzed up about a salad, but when they are salads like this steak and nectarine salad, or this soft boiled egg spinach salad or this kale and salmon one pan detox salad recipe that I’m sharing with you today, what can I say? They’re just good! 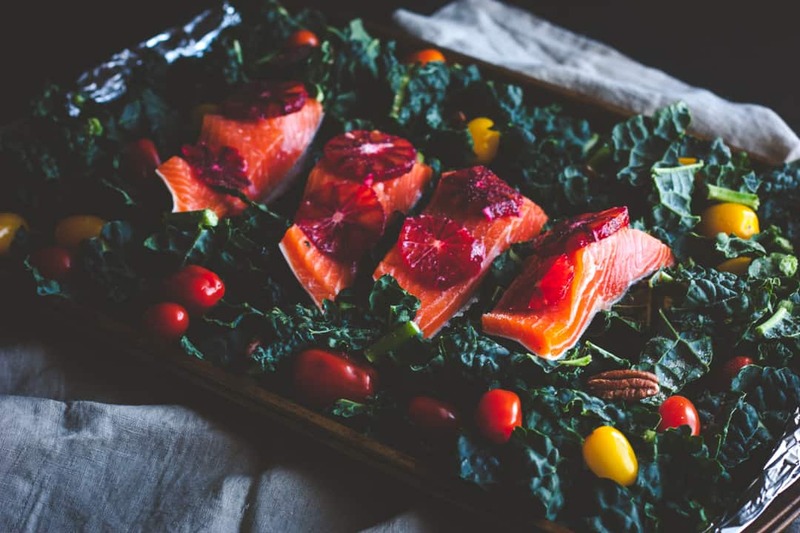 After the holidays, I think some detox and healthy recipes are always in order to help balance things out. I always think back to when I did the Whole30 program (see overview here, here, here, and here for weekly overviews of what I ate on the program) and was so happy to realize this salad was a whole30 compliant one – if you’ve never heard of it, whole30 is basically a program focusing on eating whole foods where one cannot have added sugar, no grain, gluten, legumes, alcohol, no dairy. Whole 30 or not, this salad is amazing. 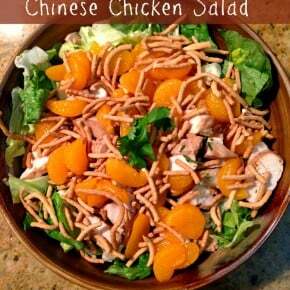 This salad has it all: a little crunch, a little citrus, delicious leafy greens and perfect flavor combinations. And let’s not forget the amazingness that is kale! Kale is packed with tons of vitamins and nutritional value, and is perfect in this recipe. 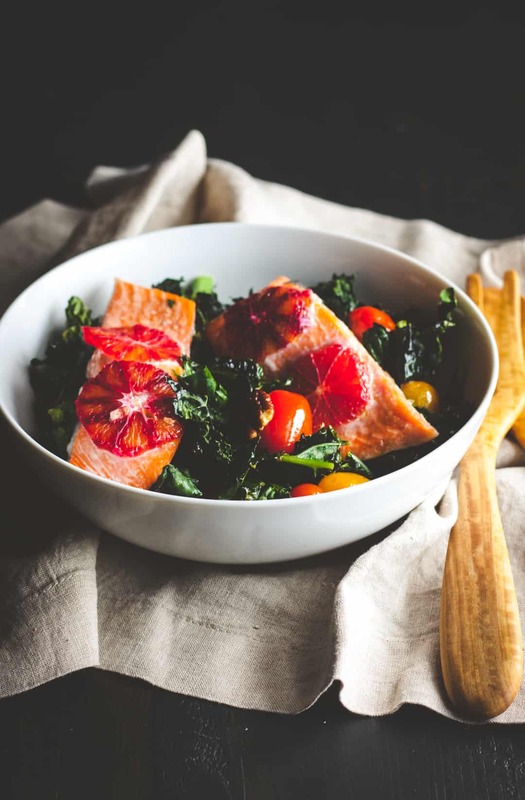 Fresh, a little crispy around the edges, sweet acidity that counteract the earthy tones of the kale, the little tomatoes burst in your mouth, everything about this salad is fantastic! Preheat oven to 350, line baking sheet with aluminum foil. 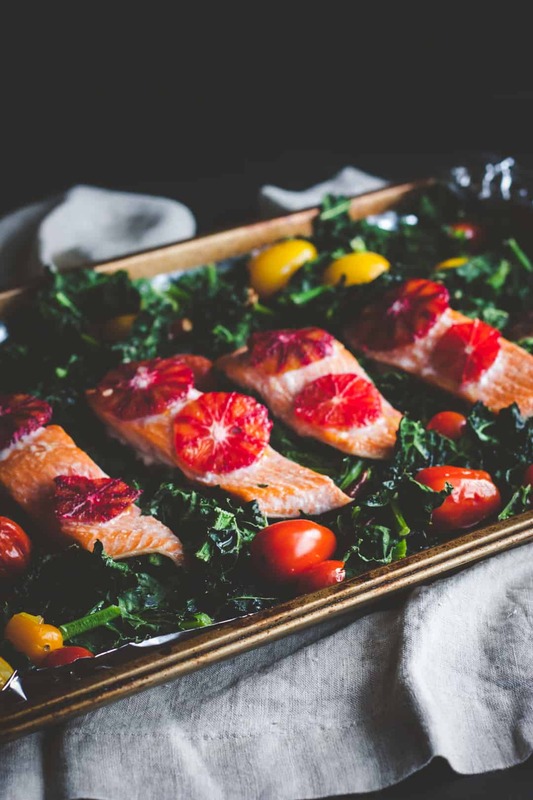 Place kale on the baking sheet, then nestle the 4 salmon fillets in the middle/center on top of the kale. 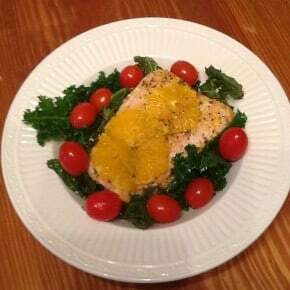 Next place slices of blood orange on top of salmon fillets, then drizzle olive oil over the kale and salmon. 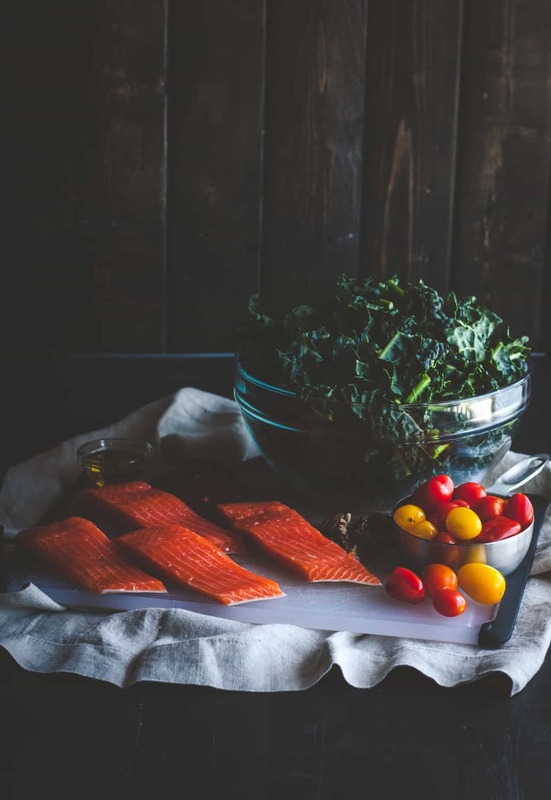 Place cherry tomatoes and pecans around the salmon, and bake for 20-25 minutes, until the salmon is cooked through. 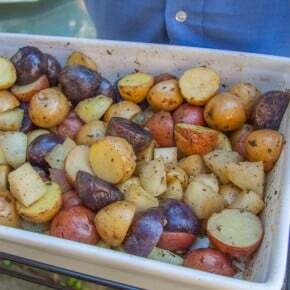 Remove from oven and allow to cool for 5 minutes, then enjoy! 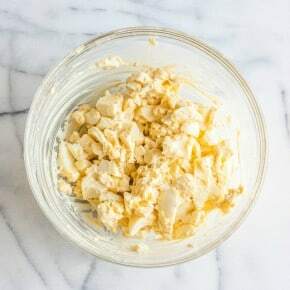 Note: This recipe has been made by a reader and featured on my Reader Recreation page. If you ever make a SweetPhi blog recipe that you’d like to share, just include the hashtag #Sweetphiblog on social media or send me an email with a picture of your recreation to sweetphiblog@gmail.com, I love seeing your recreations! This is gorgeous my friend!! Loving your healthier recipes!! Wow, this looks incredible! The colors are so vibrant, definitely doesn’t look like a detox. This is gorgeous and delicious. I can detox eating this on a daily basis. Yum! I could totally eat this salad every single day too, yay for salads! This is so pretty! I could eat this all the time! Aren’t foods that are pretty just THAT much more delicious? lol, even if it’s a salad 😉 Thanks for commenting! This is such a pretty salad! I love that you used a blood orange … I can’t get enough of them! Aren’t blood oranges the best? I love the hint of sweetness they added to the salmon! I LOVE that you roast everything at the same time here. The ease makes me much more likely to make it. And I agree with you, the blood oranges are just stunning here, especially in contrast with the dark green kale. Stunning! Hey Phi, just throwing an idea back…I live in Michigan, ever thought about greenhouseing? Thanks for sharing your love for cooking. Phi this is one beautiful salad. I love your photography of it especially – you just make me want to devour a bowl! Superfood salad for the win! This has all of my favorites including my current obsession which is blood oranges! Looks awesome. Blood oranges are such a winter favorite of mine, they’re just so pretty to look at!!! !